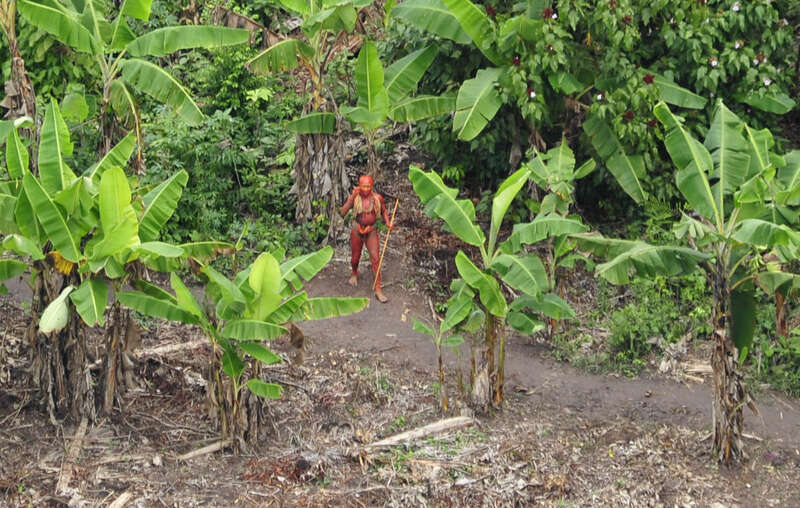 Uncontacted tribal man pictured from the in air 2010 in film footage which subsequently went viral around the world. Survival International ambassadors Gillian Anderson OBE and Sir Mark Rylance have launched a global campaign for uncontacted tribes – the most vulnerable peoples on the planet. Both actors are long-standing Survival supporters, and star in a new campaign film. The film spearheads an international push to protect uncontacted tribes, who face unprecedented threats to their survival. All the government units currently protecting Brazil’s uncontacted tribes from invasion by loggers and ranchers could soon be withdrawn, according to information leaked to Survival. Uncontacted tribes are being wiped out by violence from outsiders who steal their land and resources, and diseases like flu and measles to which they have no resistance. There are more than 100 such tribes around the world, in South America, the Indian Ocean, and West Papua. Actress and Survival International ambassador Gillian Anderson fronts Survival’s global campaign for uncontacted tribes. Uncontacted tribes are not backward and primitive relics of a remote past. They are our contemporaries. Where their rights are respected, they continue to thrive. 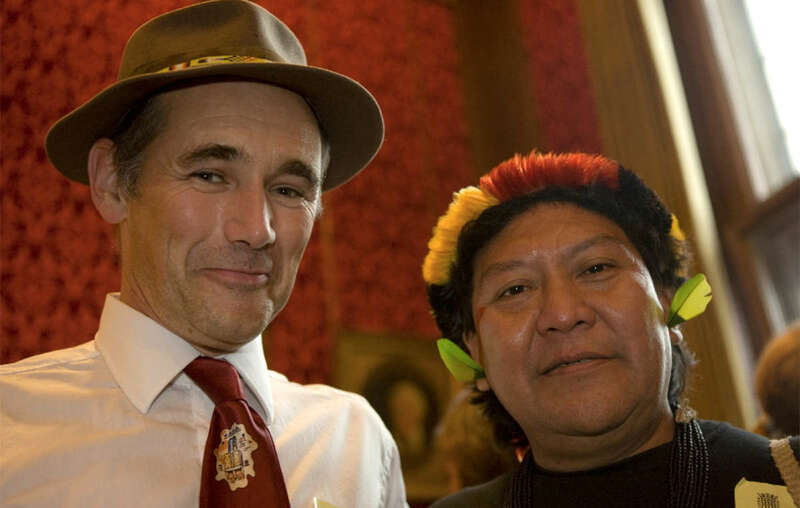 Survival ambassador Sir Mark Rylance with Yanomami leader Davi Yanomami. They are also the best guardians of their environment. And evidence proves that tribal territories are the best barrier to deforestation. 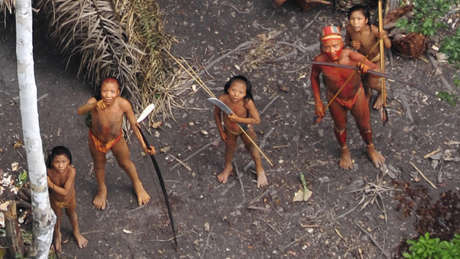 Survival’s Director Stephen Corry said: “It’s simple, uncontacted tribes face catastrophe unless their land is protected. Without a global movement fighting for their rights, they simply will not survive into the next generation. We’re grateful for the energy and enthusiasm of Mark and Gillian, who understand this urgency. 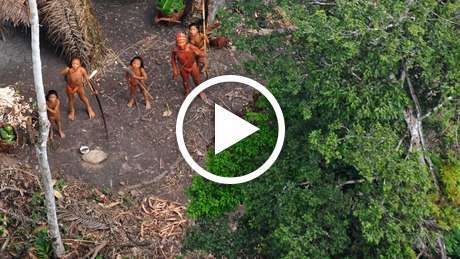 With their film, we can make the call to let uncontacted tribes live too loud to ignore."